There’s a holiday for just about everything these days. Holidays are nourishing our bodies, souls and social media feeds more than ever. With an uptick in trending food-focused holidays, it’s no wonder that #NationalCoffeeDay continues to be a hit for consumers, coffee brands and pretty much every retailer that sells coffee. The U.S. Census Bureau reports, “Coffee lovers now consume more than 2.25 billion cups per day,” so people will definitely get their caffeine fix on National Coffee Day Saturday, Sept. 29. Twitter and Instagram are social platforms that are used to promote hashtags built around these special food holidays, like #NationalCoffeeDay, as a way to encourage people to join in on the fun by sharing their experience with their friends, families and even strangers. Food holidays connect and mobilize brands and foodies alike, both nationally and internationally. It may sound crazy, but a food hashtag has the power to bring people together from all over the world. Holidays like #NationalCoffeeDay are fun and engaging for consumers, but they also give brands a way to thank loyal customers and open the doors for potential new ones. This means that on Sept. 29, coffee brands and retailers will give consumers deals in celebration of the festivities. For example, in 2017, Dunkin’ Donuts, McDonald’s and Krispy Kreme were just a few of the many franchises that gave customers special deals on coffee, and they’ll likely treat their customers with something to sweeten the day again this year. These foodie holidays not only benefit large corporation and consumers, but also smaller mom-and-pop coffee shops and new emerging coffee brands. The beauty of national food holiday deals is that they are often spread through the power of social media. Hootsuite and Sprout Social argue that starting social campaigns around national holidays is a strategic way for brands to promote their wares. Downloading food applications isn’t the only way to get coupons, but social word of mouth and checking the top trending national holiday hashtag from day to day is another tool used to market special deals. Freebies aren’t the only benefit from foodie holidays. In fact, foodie holidays allow us the opportunity to step outside of our typical and sometimes harsh and upsetting news cycle to join in on a national conversation that is meant to bring people together. Trending national food holidays also provide great opportunities for media outlets to jump into existing conversations by engaging with your readership to see what they are talking about online. 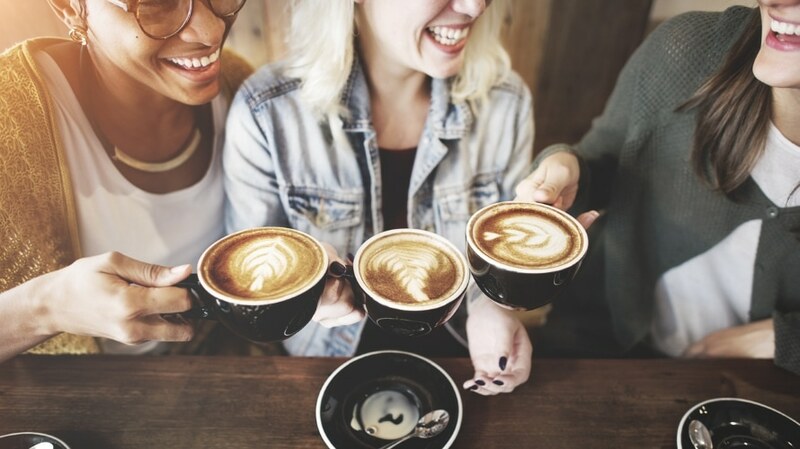 These online conversations can ultimately lead to unique content for their brand built around these foodie festivities and allow them the opportunity to learn a lot about coffee lovers, or people in general, and the lighthearted topics they choose to discuss online. On a more personal level, foodie hashtags have given social polling and opinion platform The Tylt a chance to jump into a conversation and engage with an existing hashtag or community. The Tylt will use these insights to curate new and interesting debates and collect data on tough questions, such as debating millennials’ favorite coffee brand (Starbucks won in a landslide). In the past, The Tylt has also covered #NationalWaffleDay, #NationalPancakesDay and #NationalHotDogDay and repeatedly gathered data on what foodies love (or don’t love). 52 percent of Tylters who voted chose #PancakesAreBest following #NationalPancakesDay last September, but this August, after #NationalWafflesDay, 61 percent voted #TeamWaffles over #TeamPancakes.